News broke this week that Julian Assange, the founder of whistleblowing website Wikileaks, has filed a lawsuit against the Ecuadorian government for the new asylum terms it imposed on him. Julian Assange has been living in Ecuador’s embassy in London since 2012. 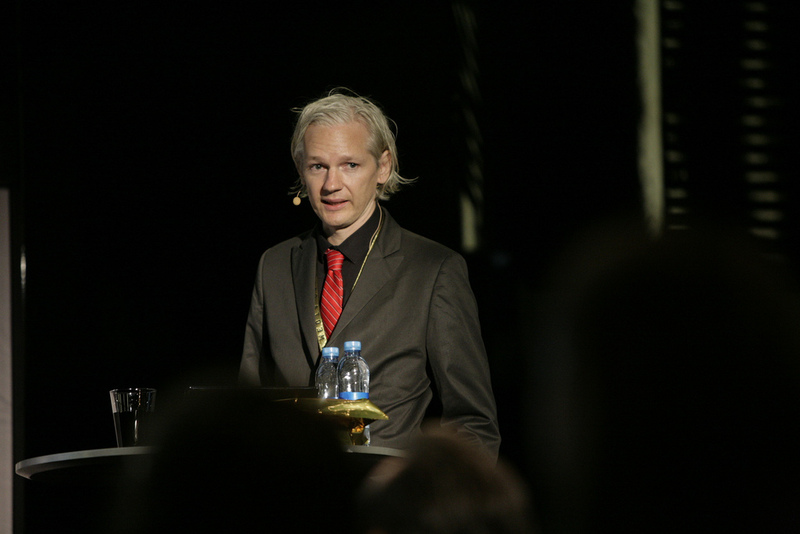 Assange was granted asylum by former President Rafael Correa in order to escape extradition to Sweden for sexual assault charges and to avoid possible prosecution in the United States for his website. Throughout the years, Wikileaks published several documents that the United States deemed confidential and has supported whistleblowers such as Edward Snowden. Assange’s latest action is the result of several months of worsening relations between himself and Ecuador’s new government.The new Ecuadorian administration sees Assange as a liability and has been silently working towards removing him from the embassy, even granting him citizenship in order to assign him to a diplomatic post in Russia. The latest conflict has to do with new terms imposed by the Ecuadorian foreign office on the Australian, which involve forcing him to clean up after his cat and having him pay for his own medical and phone bills. But the story goes far deeper and has little to do with Assange himself or his Wikileaks website, whose ties to Russia has left many wondering. The root can be found in a wider Latin American trend to move away from the Chavez-led “Pink Tide” of the 2000s, in the aftermath of Maduro’s imposition of an authoritarian regime and fear that Venezuela’s fate could expand to other countries in the region. The “Pink Tide,” as it was popularly known, was the tendency of Latin American countries to move away from the liberal economics of the Cold War towards more progressive governments that advocated for social justice. The trend started in the late 1990s, with Chavez’s election as President of Venezuela, and continued further into the 2000s, especially in the aftermath of the Argentine economic crisis of 1999-2002. With the increasing corruption and authoritarianism of many of these governments, the Pink Tide virtually ground to a halt with the election of right-wing governments in Brazil, Argentina, Chile, and Peru. Ecuador, while not electing a right-wing president, also moved away from radical left-wing politics, especially after 2017. In 2017, presidential elections took place in Ecuador. The popular left-wing President Rafael Correa was term-limited and nominated his Vice President, Lenin Moreno, to run in his place. Moreno was supposed to be a mere placeholder, as Correa had amended the Constitution in 2015 to partly remove term-limits by allowing former Presidents to run in non-consecutive elections. This would have allowed him to run again in 2021, after 4 years of Moreno keeping his seat warm in the Presidential Palace in Quito. However, things didn’t go as planned and Moreno, once elected President, opened dialogue with the opposition and called for a referendum to reinstate term limits and other changes intended to prevent Correa from regaining power. This led to a split in the ruling party, which strengthened Moreno’s position as President, despite constant criticism by his former boss and ally. Distancing himself from his predecessor was not the only thing that Moreno did. He also embarked on a process of realignment of Ecuador’s foreign policy. Correa was one of Chavez’s strongest allies in Latin America. Together with Evo Morales of Bolivia, Daniel Ortega of Nicaragua, and other left-leaning leaders in the region, they formed ALBA, a regional bloc intended to promote cooperation between “Bolivarian” (e.g. Chavista) governments. ALBA is not only an alliance of left-leaning governments, but also an informal Russian pivot to Latin America. ALBA countries have consistently sided with Russia on Crimea and Syria at the UN. This August, Moreno pulled Ecuador out of ALBA, signalling the end of the country’s Pink-Tide-era foreign policy. The country’s relationship with Venezuela, however, remained the same for a long time, with Ecuador refusing earlier this year to join the Lima Group, a concert of Latin American countries concerned about the state of Venezuelan democracy and critical of Nicolas Maduro’s regime. However, bilateral relations took a turn for the worse this fall, with the worsening of Venezuela’s condition and the increasingly pressing refugee crisis. They hit the lowest point a few days ago, when Ecuador and Venezuela expelled each other’s ambassadors. This comes in the context of Moreno becoming increasingly critical of Venezuela, as the small Andean country is now hosting over 300,000 Venezuelan refugees. For the time being, Ecuador is keeping its stance on not joining the Lima Group. Given the new political realities in Quito, it is unlikely that Assange’s situation will remain the same, as has been the case for the past six years. Living in the embassy of a sovereign state is costly business not just for him, but also for his host state. Despite Sweden giving up on its extradition request, Assange is still not in safe hands, as the UK is determined to arrest him the moment he steps out of the embassy for allegedly violating the terms of his bail. The entire string of events means that Assange still has to live under the protection of the Ecuadorian embassy in order to keep his “freedom”, despite having been trapped in the building for the past six years. During that time, Assange has only been permitted intermittent Internet access and has been banned from interfering with politics as per the terms of his embassy agreement. With Assange as a virtual prisoner in an embassy, in order to avoid being an actual inmate in Britain, Ecuador’s government must thread the needle between its obligations under national and international asylum laws and its new foreign policy. It is a situation that no party enjoys, but also one that no party can afford to change. However, given Moreno’s reforms in the judiciary and removal of Correa-friendly judges, it is unlikely that this latest case filed against his government will have any success, as being forced to take care of one’s cat is hard to define as a violation of human rights. Feature image by Peter Erichsen for New Media Days, via Flickr Creative Commons.